They have two locations, one in Stratford and the other in Dalston. The latter focuses on console games and the former on PC games. This place is in Islington, north London. They focus on e-sports games like League of Legends and Counter-Strike. Not that focused on gaming but they do have a couple of arcade machines and consoles. The bar is in Southwark, central London. They have a bunch of locations throughout London and have racing and light gun games. This place is in the process of re-opening in Shepherd's Bush, west London. They have a variety of arcade and console games. The only place on this list that I've checked out is the central London Namco Funscape but that was a few years ago. They had stuff like Time Crisis and The House of the Dead back then. I will check out these places and post about any other places I discover. 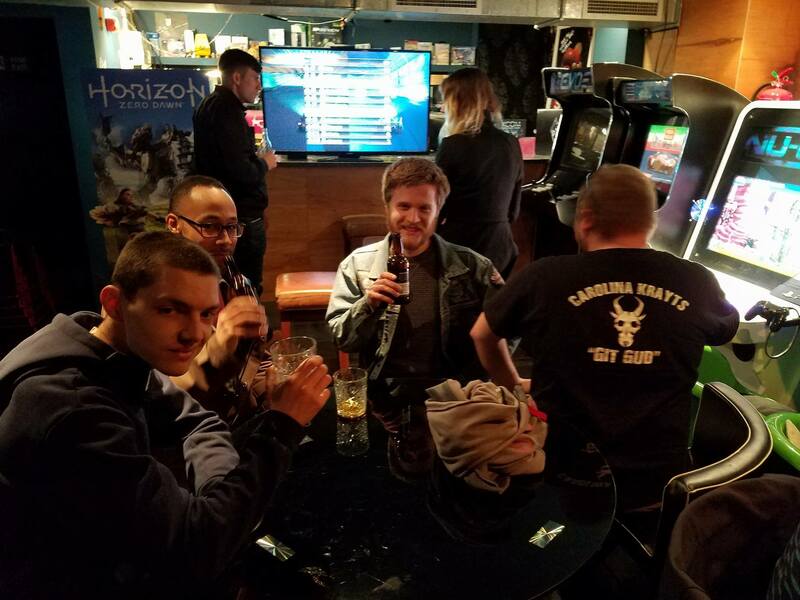 Anyone else is free to post here about London venues/meetups too. So infernovia will be in London during April and we'll be meeting up. If anyone is interested feel free to post here and we'll sort something out. 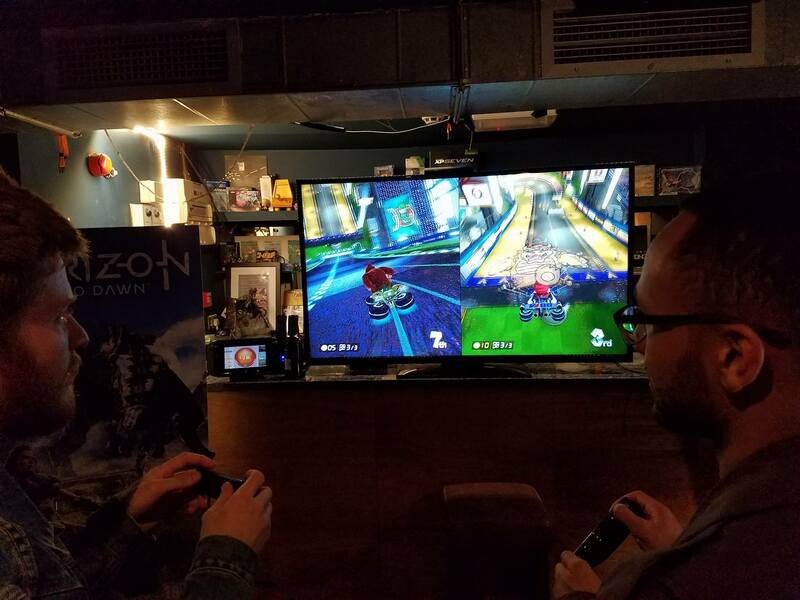 Never been to any gaming bar but I'm interested. I'll post if I find out about any other good gaming venues. The current plan is that I will be in London April 24-28th, flying out on the 29th. Very excited to see Some guy and Robomoo while I am over there! 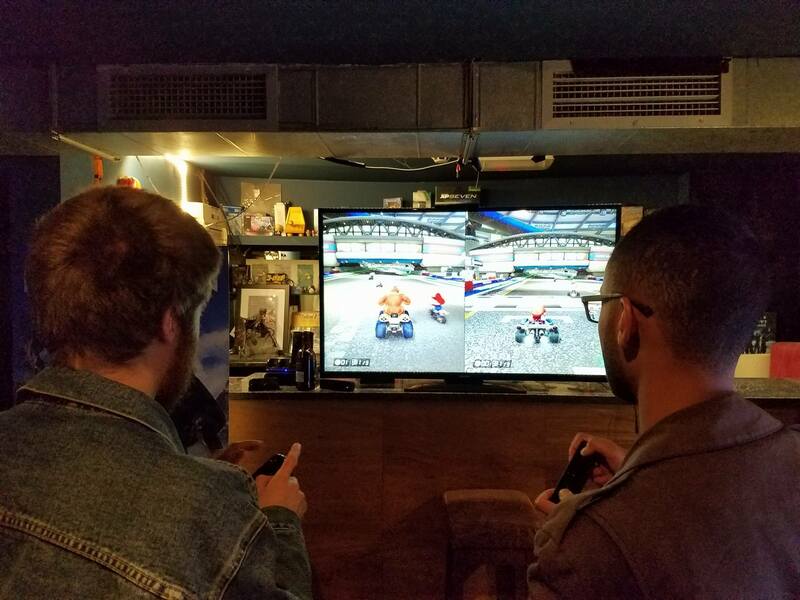 I am up for gaming bars, bars, museums, etc. Really, I am game for almost anything. Guys, let me know here when you have some sort of plan, so I can announce it on the frontpage, and maybe you'll get more people. The announcement is up. Let me know if you would like me to change anything. I mentioned The Heart of Gaming for now, and if that changes let me know as soon as you know and I will update it. Some guy, have you been to the one in Croydon? Not having been to either I would opt to go to Dalston any day, but if you know and recommend the Croydon one then let's do that. Either venue sounds good to me. See you guys in a month. Looking forward to it! 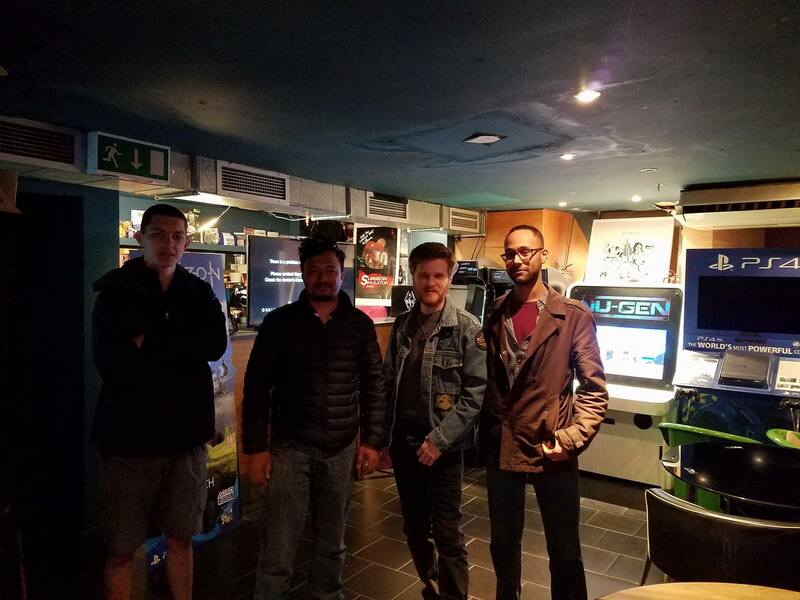 I haven't been to the one in Croydon, I just chose it because they have a bunch of arcade games and I haven't found anywhere else with many of them in London. If it opens before infernovia arrives I'll check it out and see how it compares to Loading Bar in Dalston. I need to talk to you all. When I first started this some years back, I had no idea what the future was going to be like I had no comprehension of how difficult it would be, but the support of everyone who came to the doors and smiled upon entering is what kept me going, and its the visions of those moments that keep me going now. The adversity we have faced has been huge. The first instance was waiting a year and a half to get the machines out of trocadero after the landlord cut the power and padlocked the doors, preventing myself and others from acquiring what we had purchased for 18 months. We've been robbed and flooded and evicted. Through all of this, I have done my best not to let people down and have always tried to deal with issues in the most moral way possible and keeping any worries and problems I have to myself and those closest to me, as I rely heavily on outside opinions because I know that, as an imperfect person, I don't always get everything right or see what it is I must see. HoG is an emotional rollercoaster of mega ups and mega downs for me. Ive had to make choices (not always ending up being right) that have cost me friendships, as a learning process. I was actually married but made a life choice to focus on this, going as far as to sleep in an unheated warehouse for 3 years. Its actually one year ago to the day that we moved everything out onto the street in North Acton, and I'll never forget the look on the face of the kids who turned up with their family all the way from Somerset only to realise they weren't going to get the day they were hoping for. Some people have speculated that HoG isnt coming back, and I understand. Like I said, I try to deal with problems behind closed doors, sometimes its hard, and this is one of those times, which I'll get to. People are generally supportive, but a few times this page has seen someone simply looking to actively cause drama and I have had to ban people, and in some instances, ask them not to return to HoG. One thing I will say now though, I am no longer tolerating negativity on this page. I don't want the additional stress and if I see any, it'll be deleted, and so will the person. If you generally don't have support for a community effort that is aiming to build something that the corporations couldn't keep going, then just leave this page. I am a person trying to do a lot in exchange for very little other than the satisfaction of doing something that people feel an attachment to, and want to see keep going. You are the people whose energy drives me and you are the reason I continue to push through adversity after adversity, and I thank you all for that because you are giving my life meaning. Now, the situation currently is as follows. There are concerns from the locals regarding HoG in Croydon, and the audience it may attract. Remember, HoG is a new concept with little to no examples of it anywhere, and its natural that, in a populated area, people may feel a little weary of the unknown. We are working with a number of people in an attempt to lay these fears to rest with the hope that they will allow us to proceed. 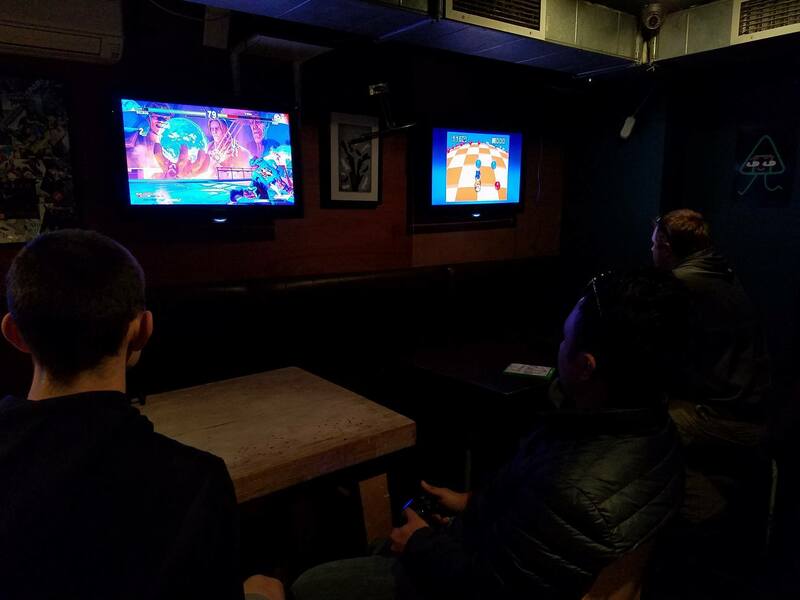 If you've ever been to HoG, you will know that it is a place of passive, yet excitable video gaming harmony that has ditched the negative parts of 20th century arcades in an attempt modernise it for the future in order to ensure the continuation of destination gaming. I humbly ask that you be patient with me and let me get on with trying to accomplish this as best as I can. It is what it is, and like every problem before it, I'll do my absolute best for everyone. This is as much as I am prepared to say about HoG at the moment. Thank you to everyone who continues to hold faith. We'll get there together. I'm looking forward to meeting all of you. See you all soon! Have fun guys, and please take some pictures so I have something to post on FB. Which reminds me I've yet to post the ones recoil took of the last meetup. So did this thing happen or what? Yep, infernovia took a couple of photos. I'm happy for mine to be posted here and on FB. Got back to my PC finally. In order: Robo, me, Some guy, Bread. Overall, hard to find a proper setup despite the plethora of games there. Closest was Soul Calibur 5 (not sure) which had two arcade sticks. Nice pics. The place looks cool too. Made me think of how I would set up a place like that. If I lived in a big city I'd give it a try, but where I am it would be pointless. Robo looks very tall. He's even dressed like he came from a basketball match.